A few weeks ago I had a conversation with my old friend Patrick Tape-Fleming about the best albums Bob Dylan has put out. I don’t remember the genesis of the conversation, but basically he was saying someone had mentioned a record that he didn’t even consider in Dylan’s top ten. That got me thinking about how your top ten Dylan albums says way more about you than it does about Dylan. In the end we decided that you can’t really fault anyone because they’re all good in their own way (yes, even Empire Burlesque). As today is Bobby’s 71st birthday, I figured I would share my list with you and then if you feel like it you can put yours in the comments section, or up on Facebook and we can discuss them. Keep in mind I am not saying that these are absolutely the best, just the ones I think are best. In early 1964, Dylan reached the pinnacle of his political power. He received the Thomas Paine award for his contributions to the Civil Rights movement, and many believed his songs would right the atrocities done by those in power. 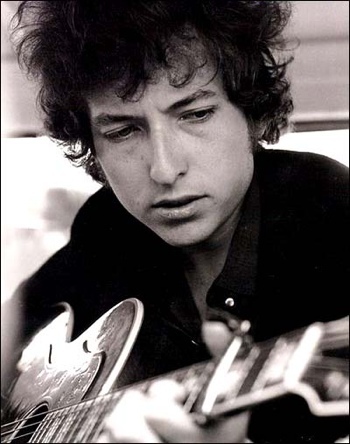 Dylan knew this wasn’t the case, saying after the assassination of JFK “What it means is that they are trying to tell you ‘Don’t even hope to change things’.” As he began to focus more on other styles, Dylan left behind this record that speaks out against social injustice and inequality like no album before it. This album has one of the greatest Side 2’s ever. “Motorpsycho Nightmare,” “My Back Pages,” and “It Ain’t Me Babe” all grace the grooves. However, my favorite song off this record has always been “I Don’t Believe You (She Acts Like We Never Have Met).” Some complain that Dylan denounced his position as “the voice of a generation” with this album. To a certain extent that’s true, but Dylan always remained political, he just didn’t want to be the one that people were looking at to speak for them. Known by many to be Dylan’s most painful album, the man himself has scoffed at the notion that it was derived from his own turmoil. A quick listen to the lyrics of “You’re A Big Girl Now” tells me different. I remember the first time I heard this album I thought, “Oh my god he’s dying.” It’s such a dark, ominous album that it’s still hard to shake. The fact that both Garth Brooks and Adele have made a mint off of Dylan’s “Make You Feel My Love” is sickening, but I can see the appeal of the song for other artists. Dylan won the Grammy for Best Album in 1997 for this record, and rightfully so. If this album only had two songs, and those two songs were “Masters Of War” and “A Hard Rain’s A-Gonna Fall,” it would still be one of the great records of the 60’s. It’s amazing that this was just his second studio album, and he was able to touch on so many influences: English folk songs, blues, and of course Woody Guthrie. Dylan’s first full rock album brought harsh criticism from some who were still hung up on his folk roots. Bringing It All Back Home was half rock and half acoustic, so it wasn’t a full transition. In ’65 Dylan left the old guard in the dust and transformed music forever. This is probably one of the most highly praised albums of all-time. And it deserves to be. “Rainy Day Women #12 & 35” has pretty much run it’s course in pop culture, but there are 14 other songs on this record that deserve the utmost attention. I used to think “Visions Of Johanna” was the best song on this album. It isn’t. “Positively 4th Street” takes the prize.